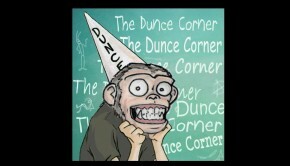 I was a big fan growing up of the orignal series of Planet of the Apes films (particularly “Conquest…“). They were fantastic social commentary pieces shrouded in science fiction, as all good sci-fi films are. When they rebooted the series with James Franco in “Rise…” I was unimpressed with the sentiment. There are so many possible stories you could tell within the established cannon that it seemed pointless to re-do things. Just pick a different part of the world and go from there! 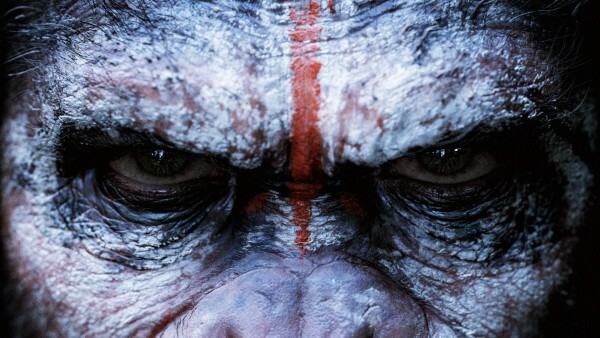 But no, they had to give us Caesar because Hollywood can’t leave franchises alone. This sequel to “Rise…” has had a few problems. The original director left due to the release date being too soon for him to work with and subsequently Franco was dropped too. 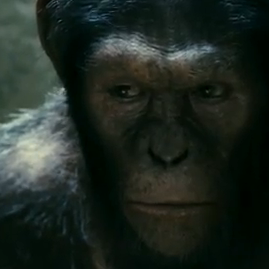 But Andy Serkis stays on and they’ve added Gary Oldman to swap Oscar nominees in the cast. 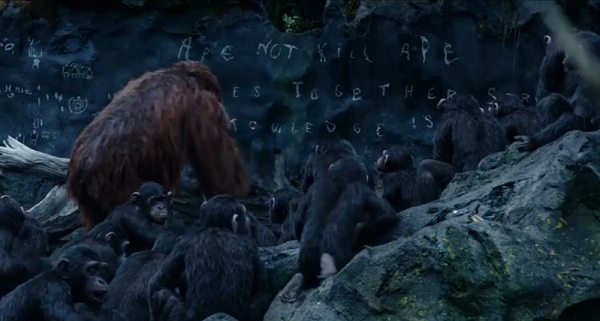 They’re shown to be more like cavemen though, rather than the civilized beings we’ve seen in the past, but it’s still a step up from the pure animal beings they were in the previous movie. 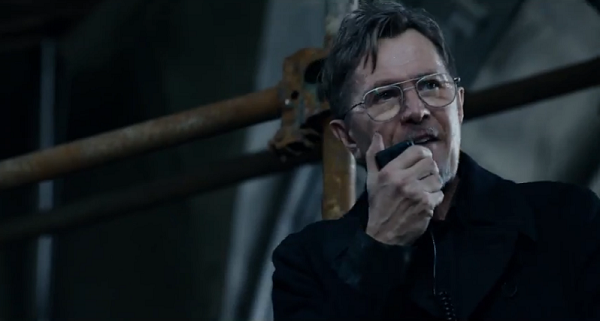 It’s not entirely clear from the trailer but Oldman seems to be playing a leader of some kind with what’s left of humanity after the simian flu killed so many people. This actor’s name is Kirk Acevedo. He plays a bad guy. All the time. In everything. Ever. Overall: This looks to be more of a sci-fi film than “Rise…” and definitely feels a lot closer in theme and style to the original series of films too. I’d be more interested to see this than I ever would have thought before watching the trailer so you have to consider that a success. I was surprised by Rise in how good it was so I’ll definitely be giving this a shot! Actually just watched “Rise…” last night, so that I’d be a bit more familiar with what was set up for this one. 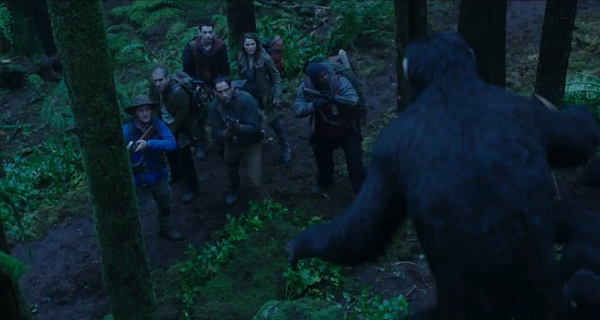 I gotta admit, I liked how they handled it, with the incredibly accelerated learning and intelligence among the apes, rather than some gradual, slow evolution. I hadn’t expected to enjoy it, but I found myself enjoying it despite that, and looking forward to the new movie. I try to be as open minded as I possibly can with reboots but it’s always hard when you like the original as much as I do. I think I’m willing to give it a fair shake now though. I’m so excited I have to actively not think about it. But the first one really got to me in the way that a reasonably well-executed creature feature can, only these creatures were intelligent creatures even before they got hit with the smartifying goo, which meant they were scary to begin with. 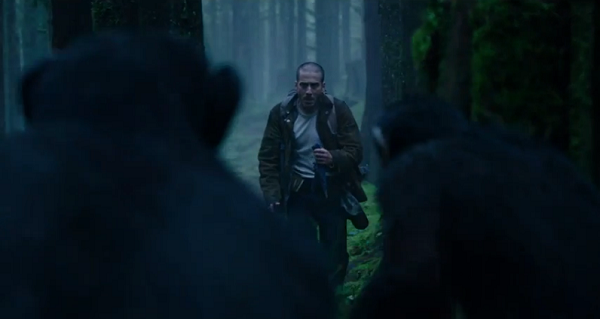 Add my stupefying fear of all things simian, and the movie offered genuine moments of terror. Too bad they can’t continue to kill off Tom Felton in each sequel; that would make a wonderful running gag.